A patient does not need to get a physician’s referral to make an appointment at our two locations. Chiropractic care is covered by health insurance. We also offer same day appointments. 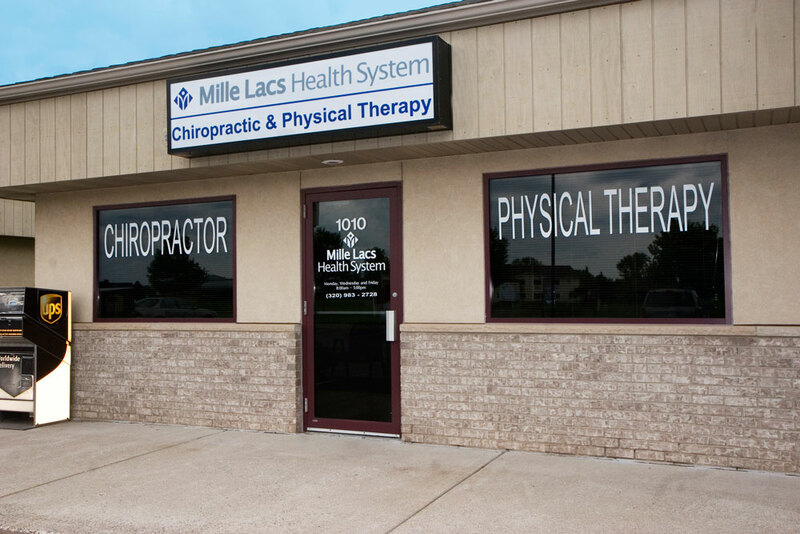 Mille Lacs Health System Chiropractic is a separate unit located at the Isle Clinic, and Mille Lacs Health System Chiropractic and Physical Therapy in Milaca is located just off 169 in Milaca. Between the two clinics, services are offered six days a week (see separate clinic hours, below) to patients who suffer from such ailments as low back pain, spinal problems, headaches, neck pain and TMJ. Many other conditions also respond well to Chiropractic care. Our goal is to find what’s generating a patient’s pain and to perform therapies so your own body can heal itself. Sometimes this can help without the aid of drugs and medicine. We will collaborate with your MLHS provider if that is needed to help diagnose and treat your condition. In addition, our Chiropractor, Tony Hass, works very closely with our Physical Therapist, Chad Barthelemy, to provide cooperative and comprehensive care to our patients. Hours: Isle Clinic ̶ Tues. & Thurs., 8 a.m.-5 p.m.; Sat. 8 a.m.- noon. (320) 676-3661. Milaca Chiropractic and Physical Therapy ̶ Mon., Wed., & Fri., 8 a.m.- 5 p.m. (320) 983-2728.